I would like to wish all the runners doing the London Marathon on April 22nd the best of luck, hopefully your training has gone to plan and you have remained injury free. I have seen several pre-marathon running injuries this past few months including Iliotibial Band Syndrome, Shin Splints, Hamstring and Calf strains, Achilles Tendinopathy and Plantar Fasciitis. Are any of these injuries familiar to you? All of these injuries benefit from physio, firstly to correctly diagnose the problem and secondly to provide the appropriate treatment to get you back up and running asap. Treatment may include exercises to strengthen or stretch, soft tissue work, ultrasound, acupucture, taping and general advice on footwear, training schedules and management of your injury. The London Marathon is an amazing experience, having completed it a couple of times myself, I can guarantee you will enjoy the electric atmosphere with amazing support from the crowds lining the entire route and from your fellow runners. The sense of achievement is immense when you cross the finish line but make sure you raise your arms and smile for that photo finish! 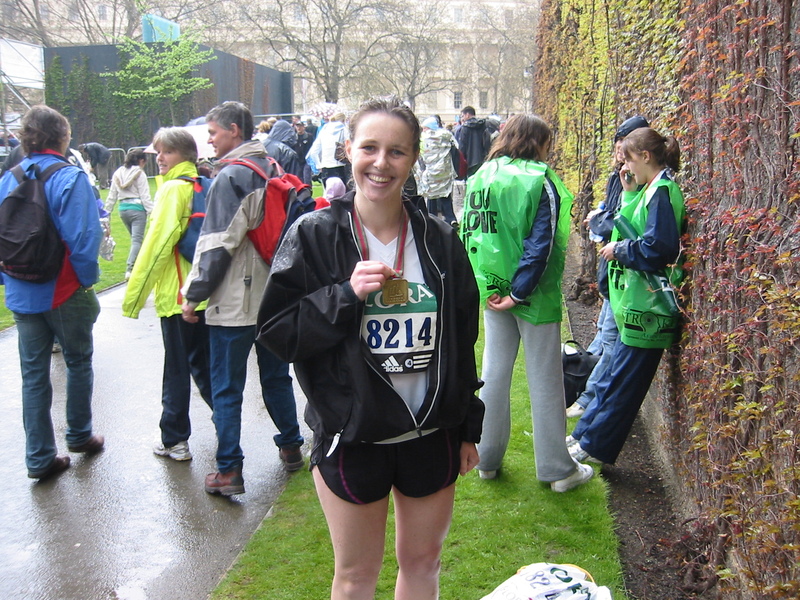 If you have ran London before how was it for you?